The Global Platform committee invites you to a round table discussion to celebrate the launch of the Global at The New School website. The future of the world will be increasingly ‘global’. Change will not be a homogeneous linear trend of increasing integration but rather, globalization will take multiple forms and proceed in different directions, generating different types of interactions and conflicts between peoples, geographies, politics, and societies. We are at a hinge moment. It is time for new thought and action, theory and praxis. 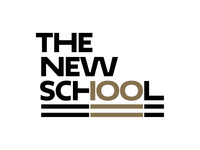 What will be the role of The New School? Moderated by Sakiko Fukuda-Parr, Director of the Julien J. Studley Graduate Programs in International Affairs and Professor of International Affairs at The New School. Global at The New School is a working group that seeks to recognize and bring together the heterodox approaches to and theories of global and international studies at The New School. The Global at The New School website will gather and represent in one place the diverse array of faculty and student work. A reception will follow the event from 3:30 pm to 5:00 pm.